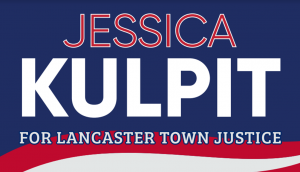 In celebration of International Women’s Day and National Women’s History Month, Lancaster resident Jessica Kulpit has selected the month of March to declare her candidacy for Lancaster Town Justice, becoming the very first woman to run for this seat. Sole practitioner of the Law Offices of Jessica A. Kulpit, located at 484 Delaware Ave., Buffalo, Kulpit has over a decade of criminal law experience. After graduating from the University at Buffalo with degrees in English and Political Science and finishing a college internship with Legal Aid’s Criminal Defense Unit, her desire to advocate for those charged with crimes led her to continue her studies at the University at Buffalo Law School. Her advocacy skills stood out and she traveled nationally as part of the school’s competition Trial Teams. Over the next three years, Kulpit spent most of her time gaining practical experience, interning with the United States Attorney’s Office and Attorney for the Child, Shelia Dickinson. Prior to opening her own firm in 2013, she practiced criminal law in Buffalo with both Thomas J. Eoannou, Esq., and Thomas Burton, Esq. In addition to her practice, Kulpit is an adjunct instructor at Daemen College and also volunteers at the University at Buffalo Law School, assisting with the Trial Teams. 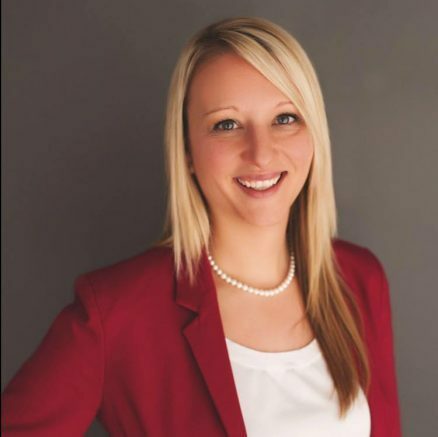 She has guest lectured at the University at Buffalo, University at Buffalo Law School and Daemen College, and frequently mentors students interested in a career in criminal justice. Kulpit has also been active in the Assigned Counsel’s training program, helping new lawyers start their advocacy in local courtrooms across Erie County, and has assisted in the teaching of Continuing Legal Education as part of this role. She has been recognized locally and nationally for her career and volunteer accomplishments. Jessica, her husband Christopher and their two children are parishioners at St. Mary’s of the Assumption Church in Lancaster. For more information, please visit her website at kulpitforjustice.com or Facebook page at www.facebook.com/kulpitforlancasterjustice. 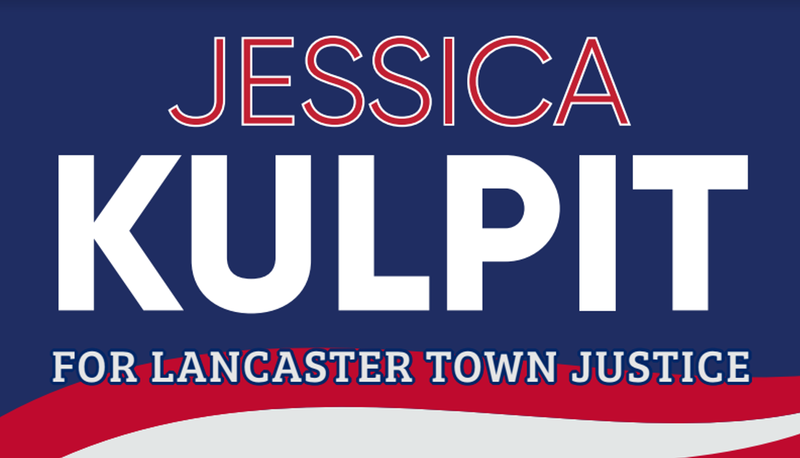 Be the first to comment on "Attorney Jessica Kulpit announces candidacy for Lancaster Town Justice"